NeoStrata has made it easy to get all the benefits of a professional peel in the comfort of your own home with 3 different formulas - skin renewal, anti-aging and brightening - of one-step peels, that were inspired by dermatological treatments - that feature a highly concentrated 20 - 25% exfoliating complex to deliver maximum results, yet are gentle enough for at home use, with no recovery time necessary - they will not only make your skin look and feel great, but also help improve the absorption and performance of all your skin care products! NeoStrata Skin Renewal Peel Solution - 50ml - $75 - great for dilated pores, rough skin texture, dull skin tone, it provides an immediate smoothing effect along with long-term benefits for a renewed, healthier-looking skin with continued use - for skin texture that looks smoother, pores look tightened and skin tone looks more even and radiant. 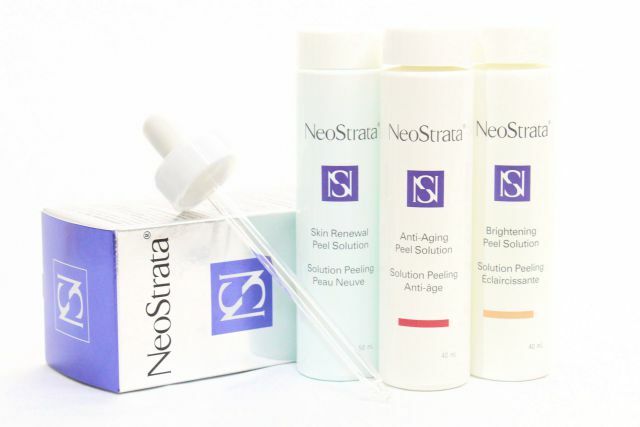 NeoStrata Anti-Aging Peel Solution - 40ml - $78 - great for wrinkles and lack of elasticity, it combines the immediate skin smoothing effect of a chemical peel with the anti-aging benefits of a potent treatment for a younger and healthier looking skin - to reduce the appearance of fine lines and wrinkles while improving skin elasticity and firmness - for skin texture that looks smoother, pores look tightened and skin tone looks more even and radiant. NeoStrata Brightening Peel Solution - 40ml - $78 - great for dark spots, uneven skin tone, it combines the immediate skin smoothing effect of a chemical peel with the brightening benefits of a potent treatment for a more even and brighter looking complexion - to even the look of skin tone and boost radiance, reduce the appearance of dark spots and skin discolouration, smooth skin texture and tighten pores. 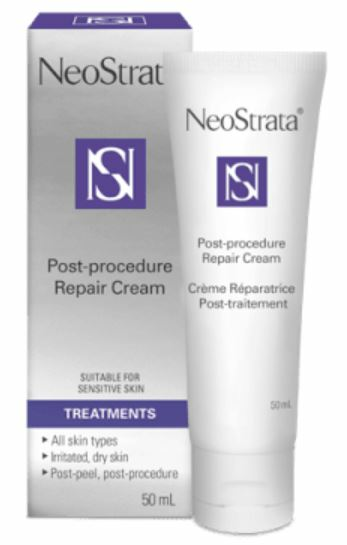 NeoStrata Post-Procedure Repair Cream - 50ml - $45 - great for irritated, dry skin this intensive triple-action skin cream has a light, non-greasy texture that quickly absorbs and is specially designed to help repair, restore and soothe post-procedure skin providing moisturization for optimal comfort to the skin.